Over the years we have met plenty of people who find it hard to relate to Hugo. We can understand that meeting a person who doesn't respond in the 'normal' way you expect can be daunting and difficult if you're not used it. You might feel self-conscious talking to someone who is not talking back or you might not know what to say to their parents. With Hugo now starting school and with his brothers getting older, he is coming into contact with more and more children who meet him and have questions about why is he different. To help the families that are involved in Hugo's life we have put together some age appropriate information to help kids understand why Hugo is different and to give them ideas for how to play and interact with Hugo. In many ways Hugo is just like you and me. 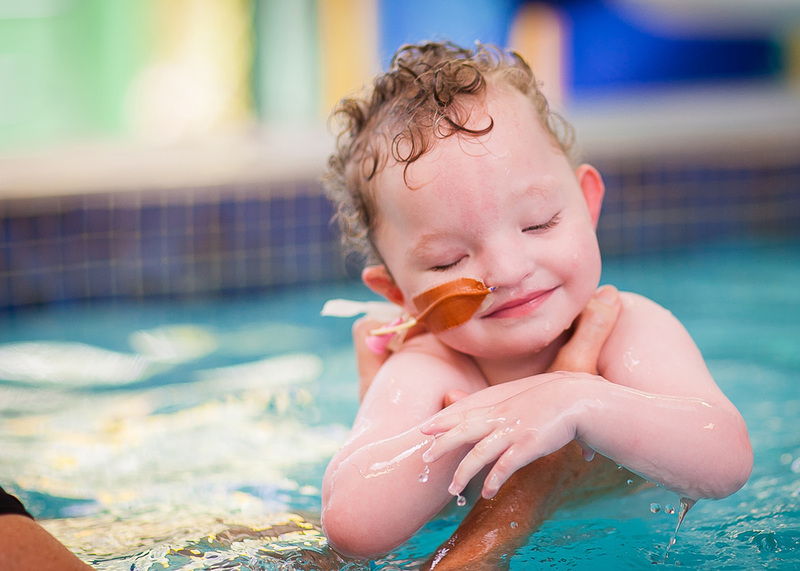 He loves listening to music, being read to, painting, playing on the iPad and swimming. He enjoys going out for a ride on his bike, or for a walk in his pram. He's normally very happy and will smile if you come close and say hello - or read, chat or sing to him. Smiling, touching and calling out are Hugo's ways of letting you know he's enjoying your company. Hugo has special needs and doesn’t behave in the same way as your other friends. He was born with a disease where the cells that make up his body have not grown in the right way. There is no cure for what Hugo has and scientists do not know why Hugo was born in this way. But the scientists do know that you can’t catch what Hugo has and that you can’t get it after you were born. Because of the way Hugo was born, he looks a bit different to you and your other friends. You might have noticed that he only has one eye. This is because his other eye did not grow properly when he was in his Mummy’s tummy. This means that Hugo is blind, which means he can’t see properly. Many blind people can tell the difference between light and dark, and Hugo very much enjoys looking at bright shiny things, like the sun, lights, sparkly streamers or things that flash on and off. Blind people usually get very good at using their other senses, like touch and hearing. Hugo has very good hearing and enjoys listening to music and stories. Hugo loves to have fun but because he can’t see what is going on he can also get quite frightened by sudden, loud noises that he wasn’t expecting. So when you play with Hugo it is best not to touch or jump at him with no notice. Calm activities are what Hugo enjoys the most and don't forget to let him know when you are coming close by. The way you play with Hugo will be different to how you play with your other friends. Hugo really enjoys having people around him and is very happy and friendly. 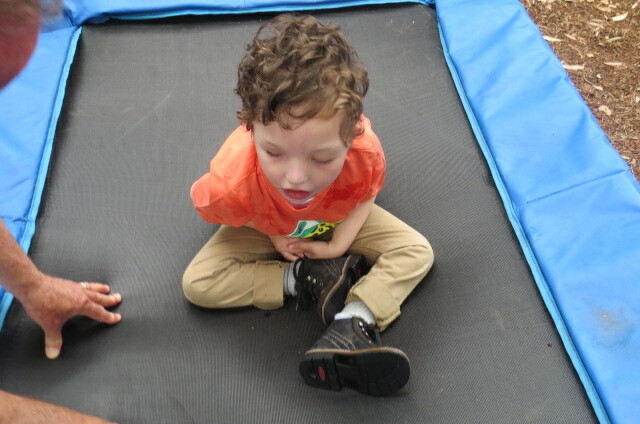 Some of his favourite things are; listening to music, being read to, sitting and enjoying the outdoors, being bounced on the trampoline or playing with toys that have different textures. It can sometimes be hard to talk with Hugo as he hasn’t learned how to speak or let you know that he is listening. But he is listening and he is enjoying what you have to say. The best way to chat to Hugo is in the same way you would with your other friends. The only difference is that he won’t be able to talk back. Some signs that Hugo is listening and enjoying your company are when he smiles, claps his hands, calls out or looks in your direction. Even though he may not always do these things, he’s still listening, so keep talking, reading and singing to him anyway! Hugo also finds it hard to learn new things. You may have noticed that he can’t say “hello” and “goodbye” in the same way as your other friends. This is because his brain works a bit slower than yours. When you’re talking and playing with Hugo he won’t always respond in the same way you would expect from your other friends. We use our eyes to do so many things in life, like walking, eating, reading, drawing and recognising who is coming and going and because Hugo is blind it means that when you come up and say hello he sometimes doesn’t realise you are talking to him. We are working with Hugo on a special way of saying hello and goodbye to his friends and family and that is to shake his hands and say hello/goodbye. This way Hugo knows you are there or knows you are about to leave. Give it a try next time you see him! Tell him about your day/morning and what you have been doing – Hugo loves to hear about what other people are up to. 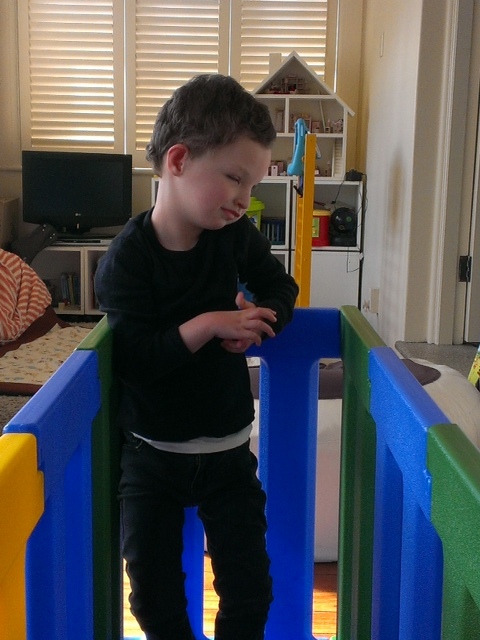 Play games with him that use his body/hand/feet e.g. This Little Piggy, Round and Round the Garden. Open Shut Them. Play with the play dough together. He likes to squeeze and hold the play dough, you might like to do something a bit more tricky - just remember to tell him what you're doing as he can't always see what you are up to. Playing with toys that make sounds or have flashing lights - try turning these on and off with Hugo and see if you can teach him how to make it work himself. Take him outside (with an adult’s help) and sit in the sunshine together. Perhaps in the sandpit, on the trampoline or on the grass? He would enjoy the different way objects from out in the garden feel - like leaves, sticks, smooth rocks, grass, sand...how many can you find? Do a painting together. Tell Hugo all about what you're painting and the colours you are using. Do some puzzles together. You might find you are much better at these than Hugo, but he would love your help finding where to put his pieces! Playing on the iPad. 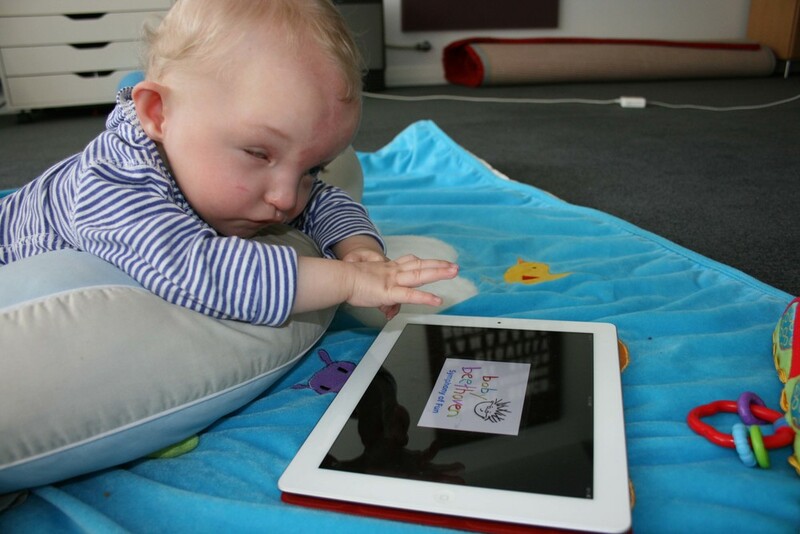 Just like most 4 year olds, Hugo also loves the iPad. He has special apps and games that he particularly enjoys, but I bet if you show him something you enjoy he will like that as well.